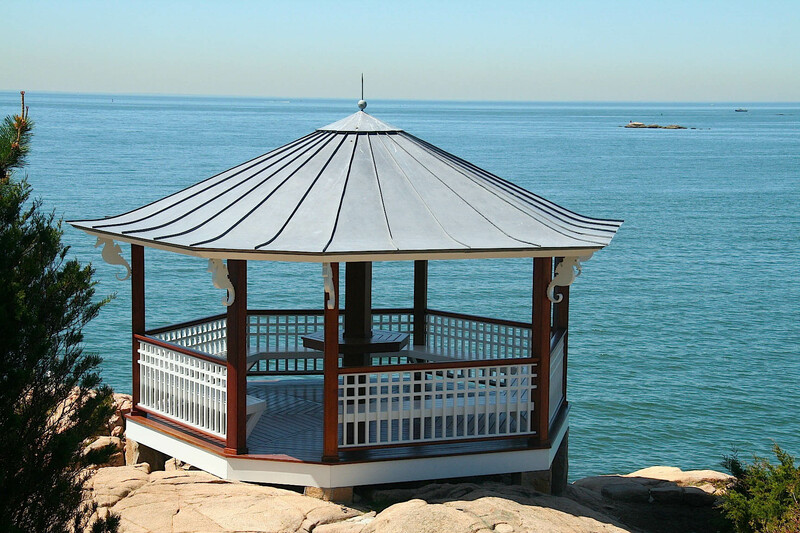 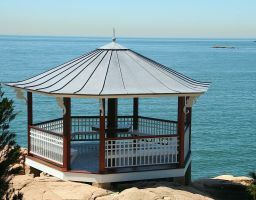 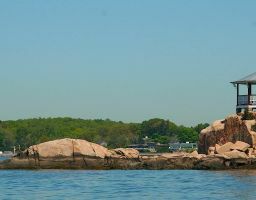 Perched on a rocky promontory overlooking a breathtaking section of the Long Island Sound, a group of small buildings surrounds a swimming pool. 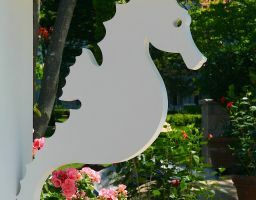 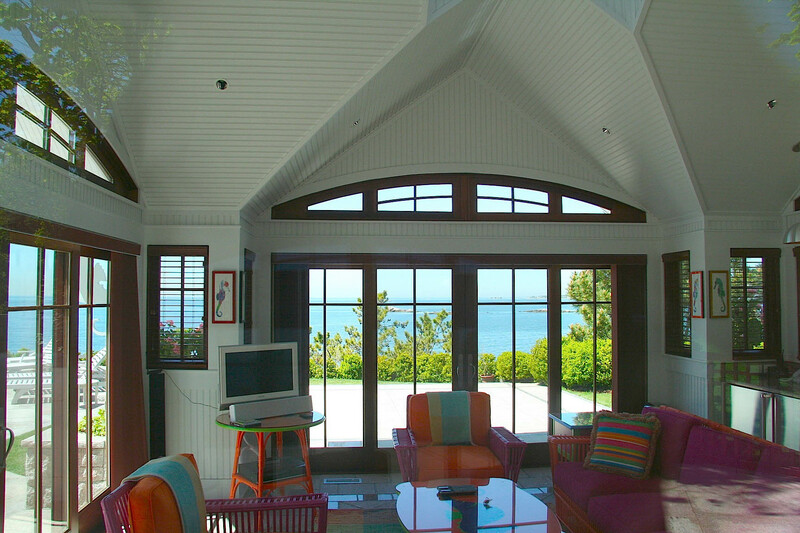 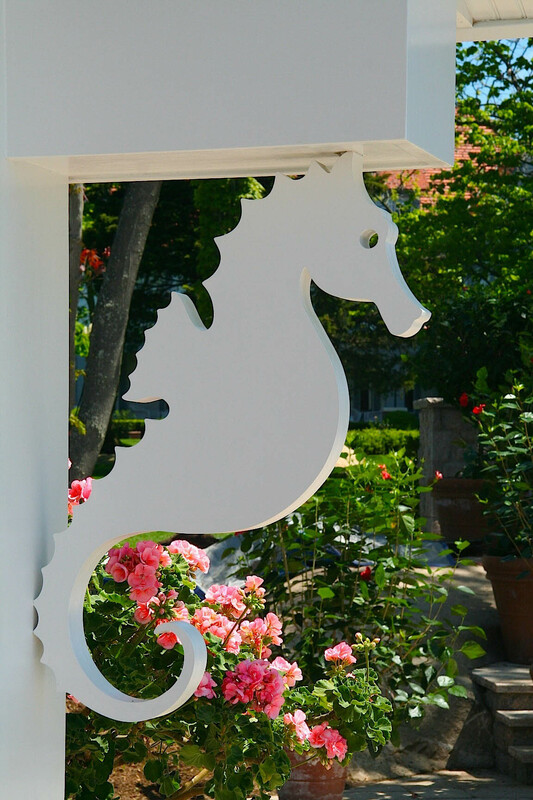 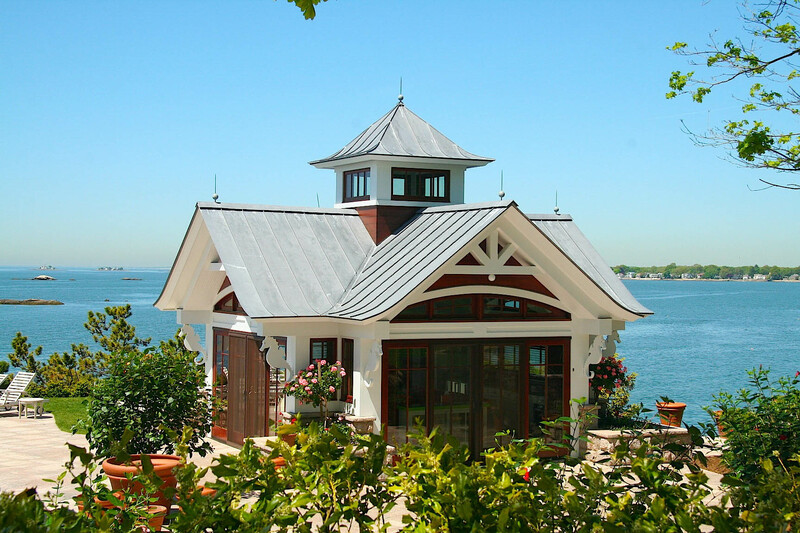 Some distance from the main house but still part of a large private island estate, these structures establish their own colorful and whimsical aesthetic language. 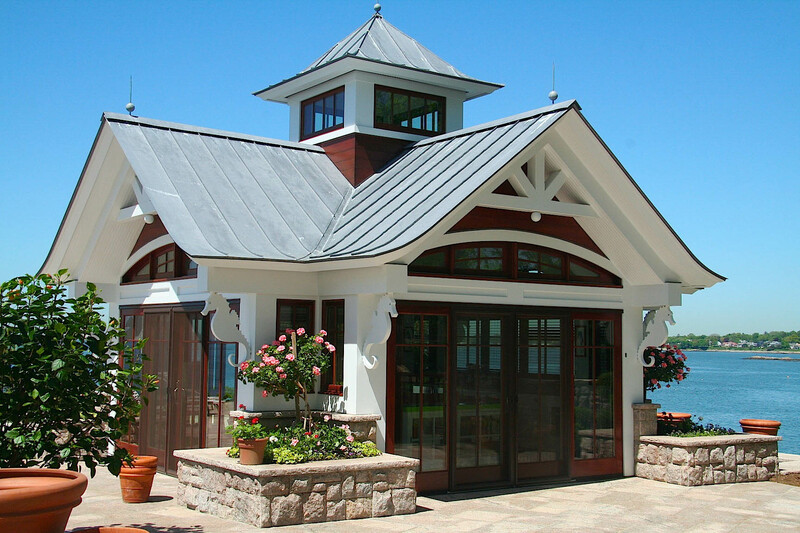 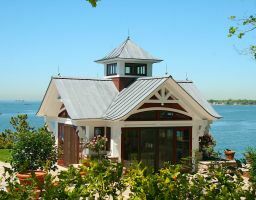 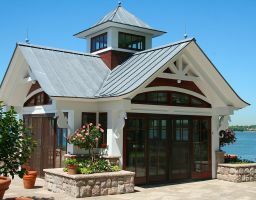 The exterior materials are pure white trim, lead-coated standing seam copper roof, and locally quarried pink granite.